It's no secret that I'm always looking for ways to help my children practice math skills. I have one in particular who can use all the practice she can get. 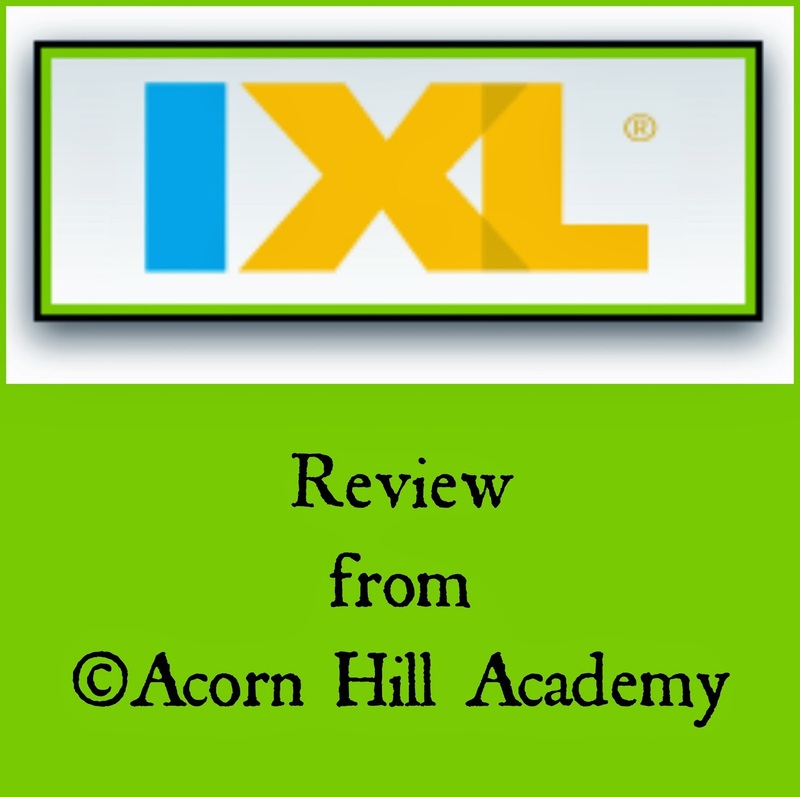 So, I was excited to have the opportunity to review IXL. 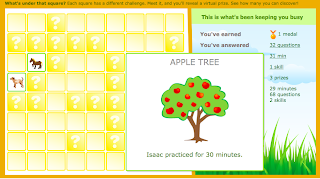 IXL.com is a website that offers math practice for PreK through 12th grade, and language arts for 2nd-4th grade (more to come). They are aligned with Common Core State Standards, as well as individual state standards, if you need that for your homeschool. We received a 1-year membership for the purpose of this review, and all three of my children used it: kindergarten, 7th grade and 8th grade. 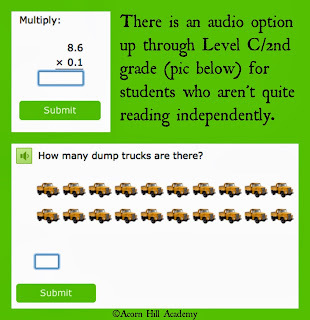 IXL's website offers practice problems that remind me of an electronic workbook. The problems are more like math drills than games. There isn't much there to distract students, which is good. 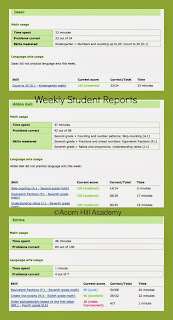 They have skills listed out separately, so it's easy to have students work on specific skills. Students can work at any level, so if they are advanced they can work ahead and if they need to catch up they can use previous levels. 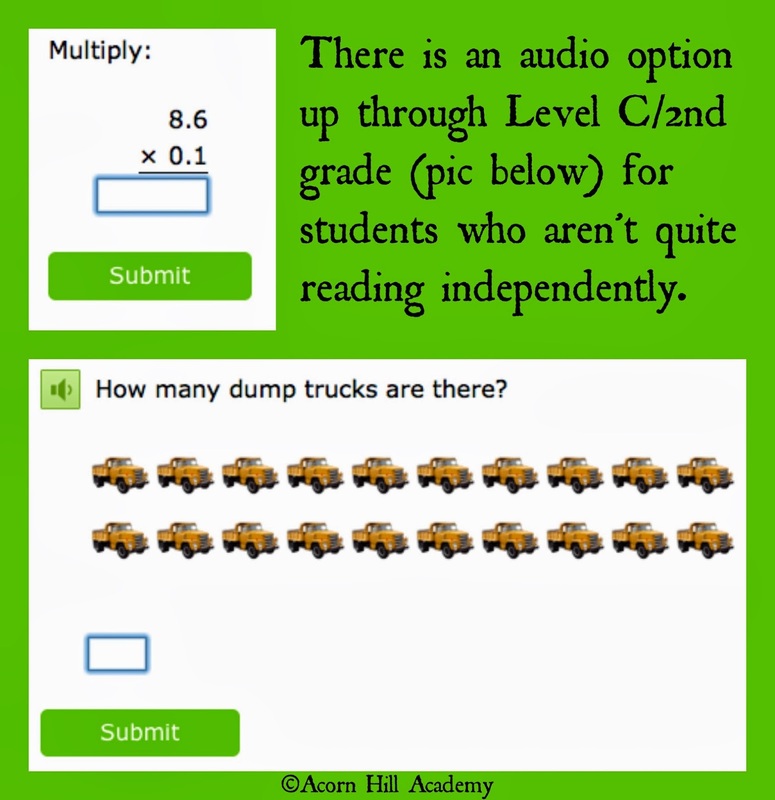 There is also an iPad app, free to download, and you can log into your IXL account for mobile practice. It's perfect for using while waiting for siblings at activities or long car rides. 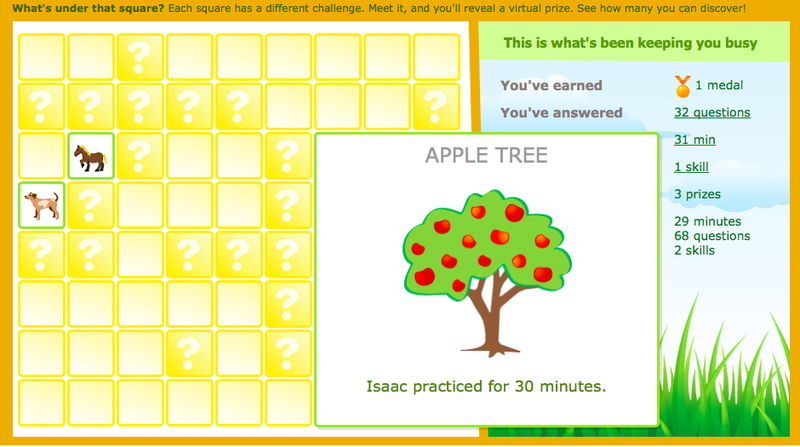 Isaac did all right with IXL. He wasn't a huge fan; it wasn't terribly interesting to him. One issue I had with it for him was that although there was an audio option so he could hear the instructions, if he answered incorrectly, the explanation wasn't able to be read. He could hear the correct answer, but since he's not reading yet, he couldn't read how to solve the problem correctly. I had to sit with him while he practiced, which was fine, except that I'd prefer something he could do independently so I could be free to work with the girls. The girls were better able to utilize IXL. I didn't think they'd like it much, but they both said while it wasn't the most fun they'd ever had, they felt it was effective. I had to laugh, because Emma decided to try some of the language arts, and she didn't do very well. I was quite concerned when I looked at the material, because the questions she missed were so easy. She's in 8th grade, and IXL currently has language arts for 2nd-4th grades. However, when I tried them myself, I missed quite a few because I didn't read the instructions carefully for each one. That was a good lesson for us both - we need to read the actual instructions and not assume we know what we're supposed to do! 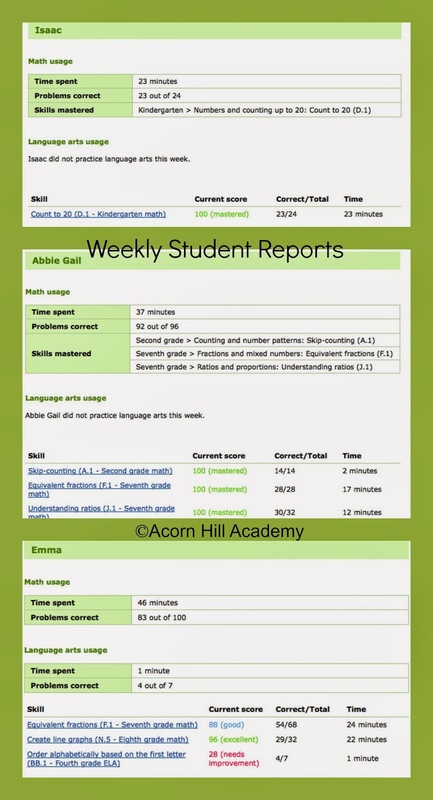 As the parent, I received weekly progress reports for each student, showing both the amount of time they spent practicing and how well they were doing. I did like that the kids were practicing problems written in the same style they might see on their tests we do each year. They don't take the same end-of-grade tests used in public schools, but we do have to administer yearly tests in North Carolina, and sometimes they've struggled when questions are worded differently than they've seen in the curriculum we use. It's good for them to experience different ways of learning the same information. 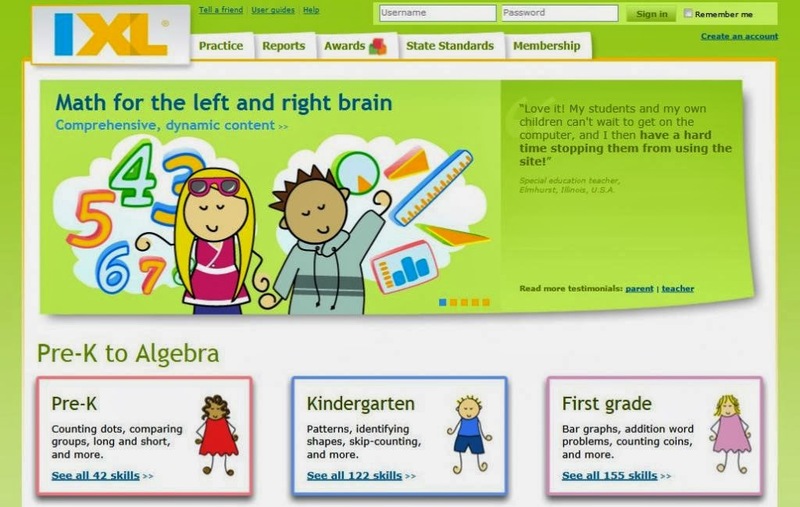 In summary, IXL offers a solid, basic math practice program that allows children to practice all the necessary skills according to state standards. I plan to continue to have my girls use it as necessary, particularly since I can put the app on their iPads. It will reinforce what they're learning, and perhaps fill in any holes they might have in their math knowledge. I will probably not have Isaac continue. He doesn't need the extra math practice yet. I could see this being a great fit for folks using a traditional, textbook-style math curriculum, and for afterschoolers. 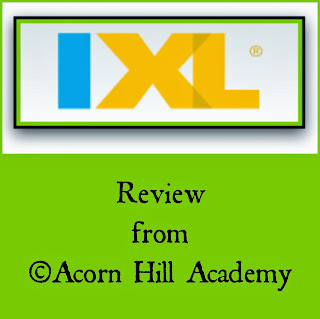 IXL offers family memberships to their website for $9.99 per month or $79 per year, for one student using math. You can add additional children to your family membership for $2 per month or $20 per year, and you can add language arts for $50 total for the year. So, for my three children, we'd pay $169 per year for all of them to have access to math and language arts. Make sense?